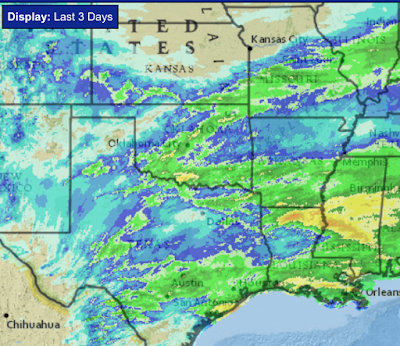 Here are rainfall amounts across the winter wheat belt for the last three days. 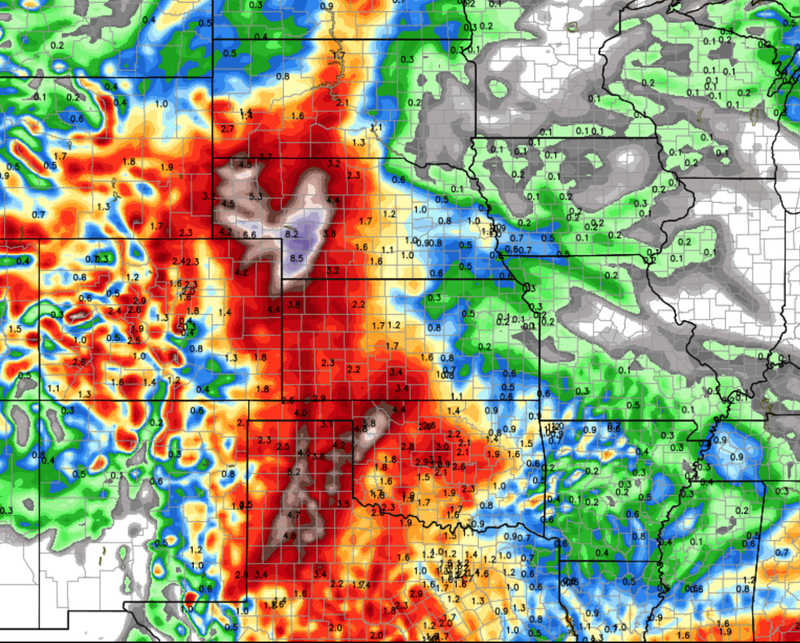 Note: A major winter storm may occur in Colorado this weekend. 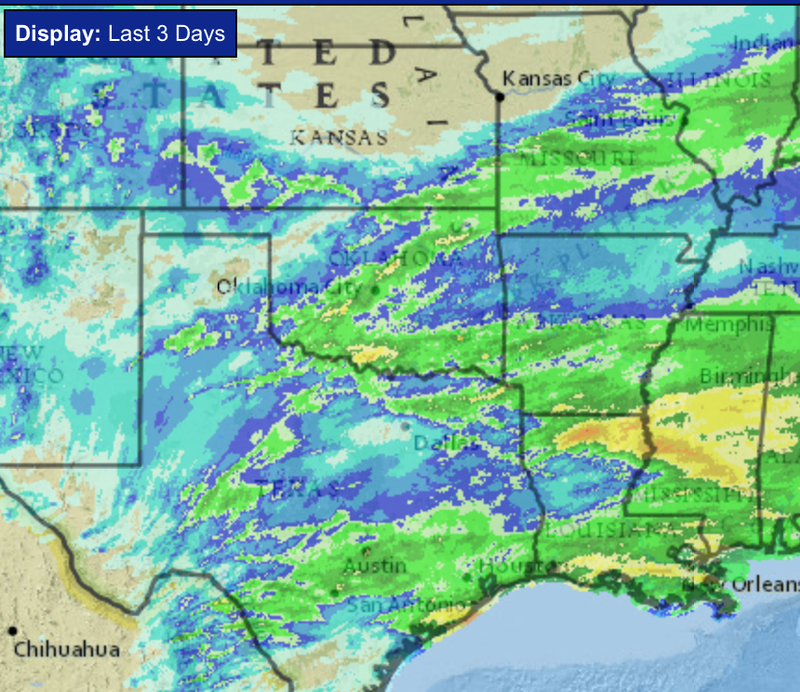 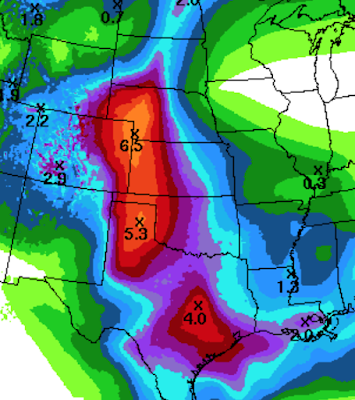 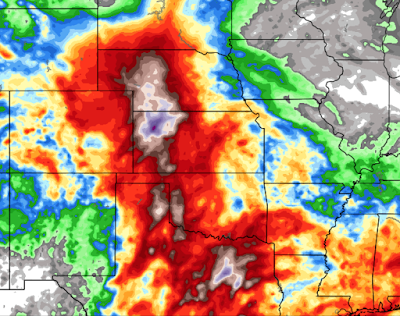 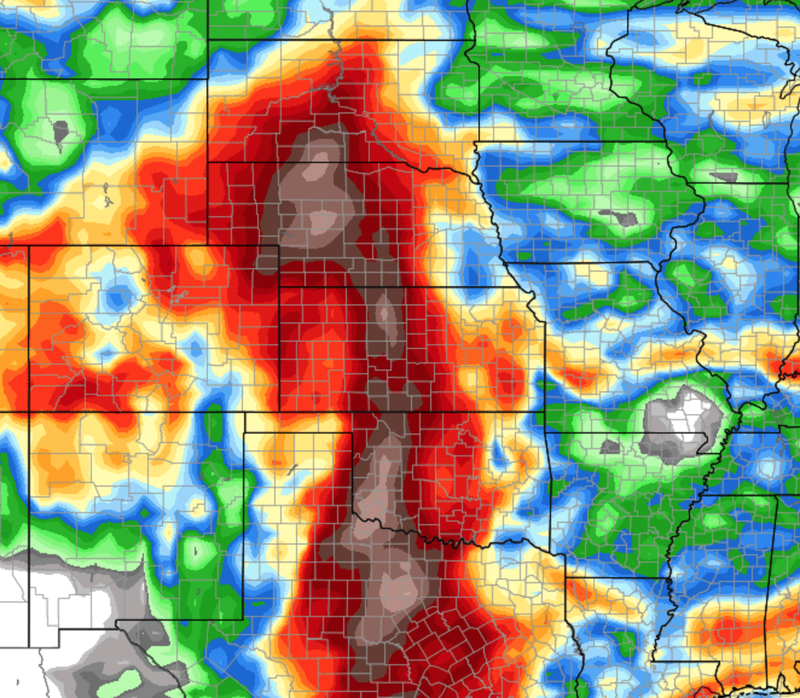 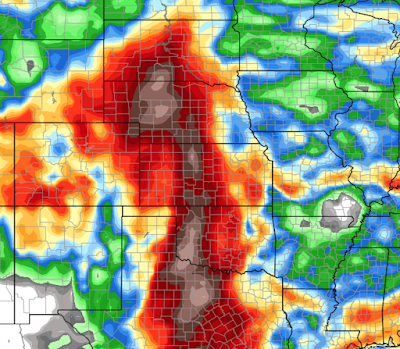 The guidance beyond ten days indicates the rainy pattern for the central United States will continue at least for an additional week.